♥This *PDF* crochet pattern/tutorial includes detailed step by step instructions, symbol charts and pictures to help you create this cute little crab. Do you want to make your own little cute mouse? It's very, very easy: this *PDF* crochet pattern / tutorial includes detailed step by step instructions and pictures to help you create this cute little mouse. 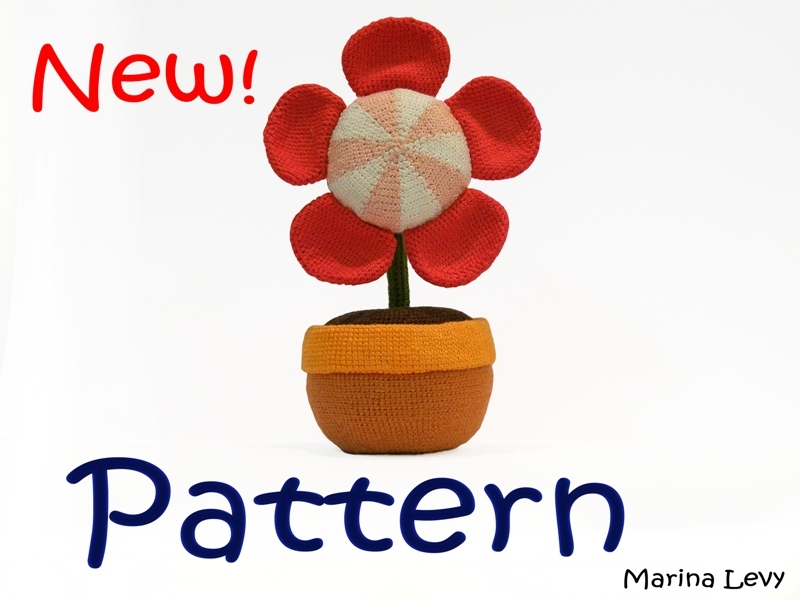 ♥This *PDF* crochet pattern/tutorial includes detailed step by step instructions, symbol charts and pictures to help you create this cute Flower in the Pot. ♥This *PDF* crochet pattern/tutorial includes detailed step by step instructions, symbol charts and pictures to help you create this cute Daisy in the Pot. ♥This *PDF* crochet pattern/tutorial includes detailed step by step instructions, symbol charts and pictures to help you create this cute pencil. ♥This *PDF* crochet pattern/tutorial includes detailed step by step instructions, symbol charts and pictures to help you create those cute colored pencils. Do you want some Christmas spirit in your pocket? Do you want just decorate your key chains or your car mirror? It is very easy, just follow this step-by-step instruction. ♥This *PDF* crochet pattern/tutorial includes detailed step by step instructions, symbol charts and pictures to help you create this cute Christmas Tree. ♥ This *PDF* crochet pattern/tutorial includes detailed step by step instructions, symbol charts and pictures to help you create this little Israeli Flag keyholder..
♥This *PDF* crochet pattern/tutorial includes detailed step by step instructions, symbol charts and pictures to help you create this American flag.